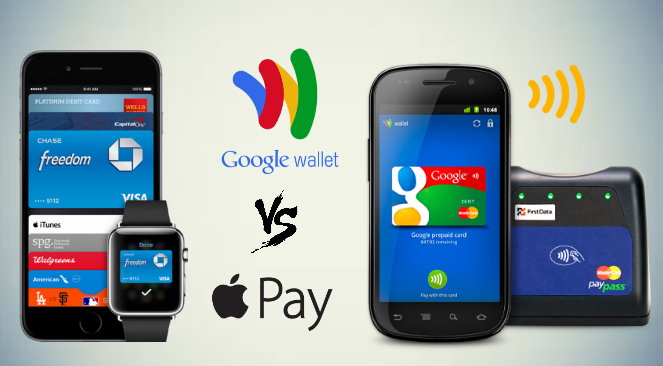 Which One to Use for mobile payment - Google Wallet or Apple Pay? You have already used Google Wallet. It has been a great solution for payments while shopping. A similar app from Apple for the iPhone users is Apple Pay. You must be feeling confused about choosing the right app. A brief about the comparison between the two apps will help you decide the right one for you. Both Apple Pay and Google wallet are having NFC configuration and they can be used as a payment mode for your shopping. You will have to hold the phone near to the Contactless reader for Apple Pay, with your finger on the touch ID. After the reading is over, it will beep once. The beeping sound is to imply that your transaction is completed. If you are willing to use the system in your POS, just install a contactless reader to assist the buyers. Google wallet’s process of working is similar to Apple Play. It has got few more things that you will have to follow. While, in Apple Pay, you need no apps and you will not have to wake up the screen even, in google wallet, you will have to do those two things. There you need an app and you will even have to insert a password of four digits to finalize the payment. Hence, using Apple Pay is much easier than that of Google Wallet. However, setting the apps and its functions are much easier in case of Google Wallet. You will have to sign in in the website of Google Wallet, that’s it. To put details, you can go through the settings of your Mobile, or can make it directly through your bank account. If you wish to keep your cards away from the mobile payments, here is the best option for that. In case of Apple Pay, you will have to insert the Credit or Debit card details mandatorily. If you have already inserted them in your iTunes store, just link that with Apple Pay. It will receive the card details automatically from iTunes. In case you are willing to use different cards for the purpose, you will either have to upload an image of the card, or will have to manually insert the details in your iPhone. It is bit complicated to make the settings of Apple Pay. However, there are three differentiating factors that make the system different from all other services. Primarily, there is no need of any app for the purpose of making the purchase. While making the transaction, you will not have to wake up the screen even. This is a great feature, which is unavailable in Google wallet. The passbook concept of Apple Now is excellent. It will store all the details of your purchases, the tickets or even the discount coupons. The feature is really eager to give you a perfect solution to convert all the offline transactions through mobile. So, just carry your smartphone. All the transactions will be made through it alone. The system initiated by Apple Pay is giving you the option to get the support instantly. You will have to choose the right option and hold the mobile before the contactless reader. Your transaction is completed. Google wallet is having its own style in the deal. There are three unique features, which you will not get even in the Apple pay. Google Wallet is similar to Apple Pay in terms of making the payments online or offline. What extra thing you will get in Google Wallet is the different payment solutions. You will not have to rely on the cards to make the payment. You can even send money through the app. So, general banking is also considered in this app. This is a special feature, which you will not get in Apple Pay. Wherever you will get the button Pay with Google, you can use the Google Wallet. Hence, you can use the app in making the payments Google Play and other features of Google properties. This is a great feature, which you will not find in Apple Pay. Both Google Wallet and Apple Pay are having some unique features in them. You must have listed out some of the major differences between the two applications. Still there are some of the things left. You can get the details of the security features. This will help you to understand the difference in a better way. Instead of storing the card details, Apple Pay stores a unique number, encoding the card details. 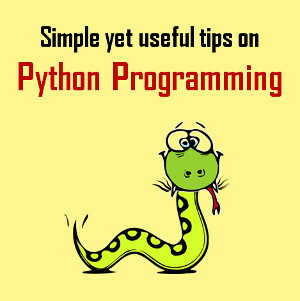 This is a great security features that you will need to initiate for you. You will stay safe and secured, although using your card. Your Apple pay will not even store the transaction details in it. It will be listed in the passbook, although Apple is not monitoring them anyway. So, your transactions are fully secured and private. There is no reason to think that when you have lost your phone, your data is transferred or it is in risk. Just go to Find my iPhone, wipe out the details of your phone from there. You are 100% safe. If you consider the safety features of Google, you will get many other features in it. The first safety is the use of the app. Nobody can use the app, without the four-digit password. This is an excellent security feature, preinstalled. Remote locking of the app is there in Google Wallet too. Just go to the website and disable the wallet feature. Google Monitors all the transactions, detect and protects the frauds in a perfect style.